I have always been a great admirer of Monogramm and his sire and grandsire, Negatraz and Bask. 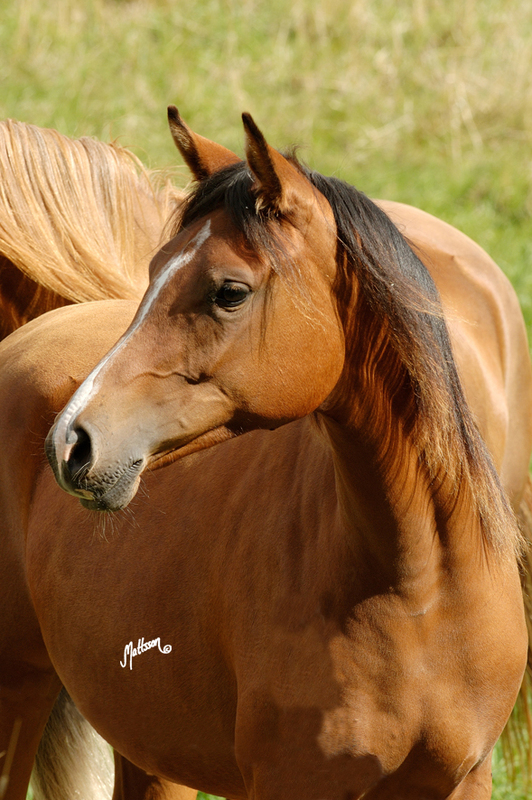 Monogramm did an immense impact on the Michalow breeding program and his most look-alike son, Premier, came to Sweden and Kullatorp Arabian Stud in 2005. I bred Salaterka and Wiona to Premier and I am very pleased with the result, Salaterka had a bay filly Salmira and Wiona had a chestnut colt, Wiridan. Salmira was sold to Sinus Arabian Stud as a yearling.